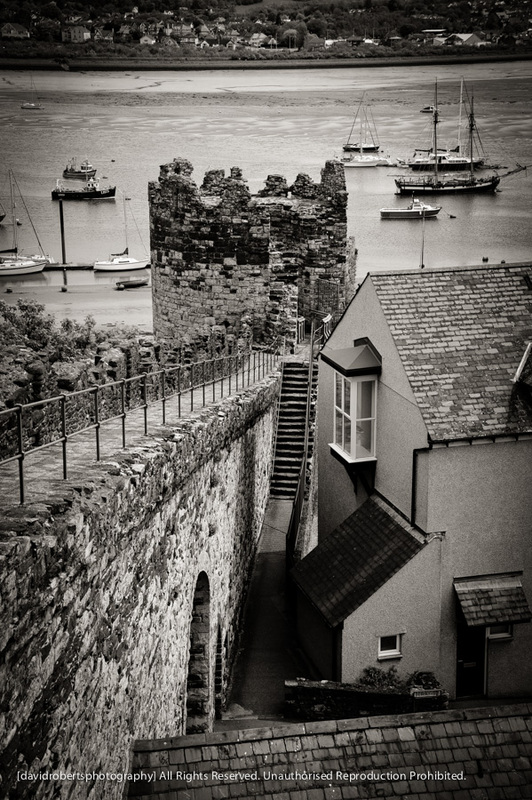 Looking down at a steep section of Conwy’s medieval Town walls. 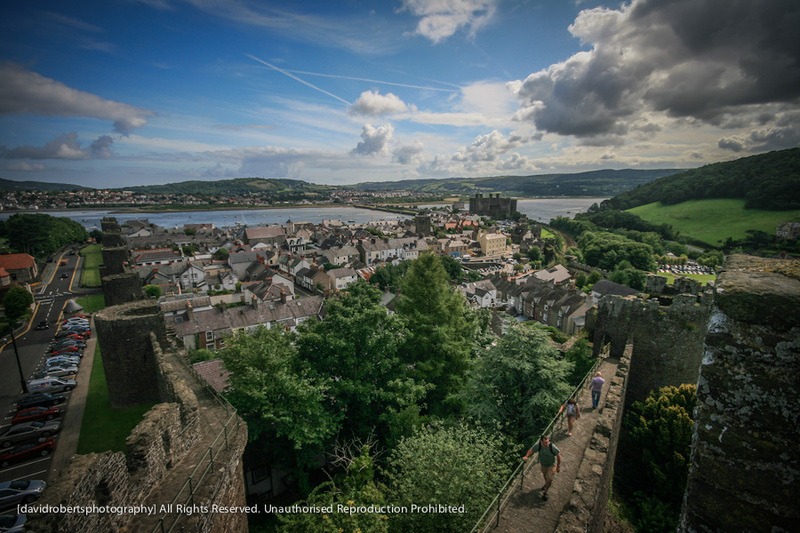 A wide angle view of Conwy Town from back in 2009. Taken from the highest point on the Town Walls. 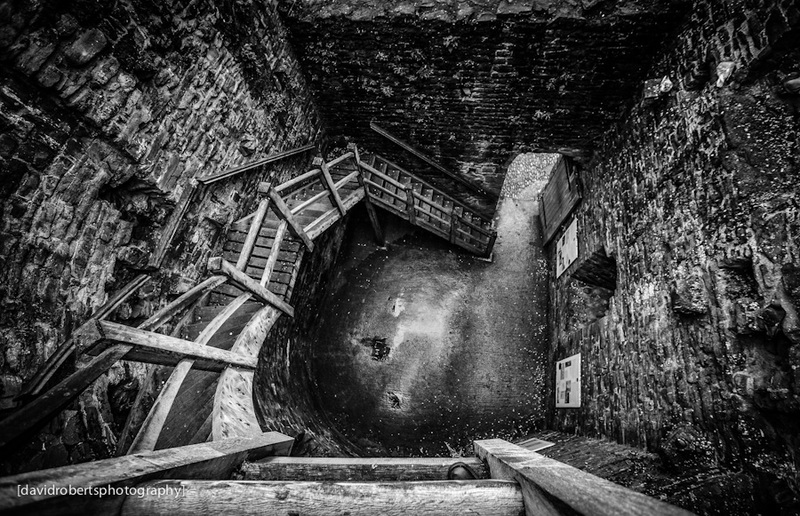 Looking down into one of the Towers on Conwy’s Town Walls. The staircase is not as precarious as it appears!